If you are an employer with 50 or more employees, you should read this. If you are an employer at all, you should read this. 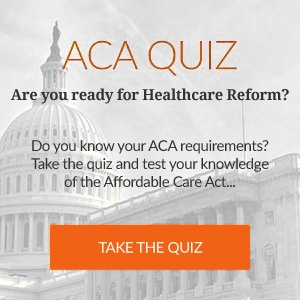 Federal health care reform affects us all, so this article series will tell you more about what you need to know. – Beginning in 2014 the Patient Protection and Affordable Care Act (PPACA) requires that private health insurance plans that are offered should meet minimum essential coverage requirements. – An insurance exchange will be established to pool risks and ostensibly offer competitive rates—States have the latitude to create their own or rely on the federal insurance exchange. – There will be four (4) tiers of plans within the state or federal insurance exchange (Bronze, Silver, Gold, and Platinum)—these will meet the Minimum Essential Coverage and Minimum Value requirements of the law. -Small insured plans must include essential health benefits, at bronze, silver, gold or platinum levels with a deductible not to exceed $2,000 for Individuals and $4,000 for family coverage. -Transitional Reinsurance Fees will still be assessed in all small and large employer medical plans. With the 2014 date fast approaching, there are a few things that your company may need to do. 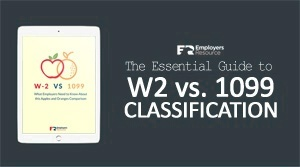 First, please note that large group eligible employers MUST give a Summary of Health Insurance Benefits and Coverage to every employee starting in 2014. This was a requirement for any plans with open enrollment periods starting 10/1/2012. These summaries will be used by employees who shop the federal insurance exchange, compare coverage from spouse employer, etc. Employers of all sizes will have to provide state or federal insurance exchange notices by 10/1/2013 that will notify the employee of the availability of the federal insurance exchange, if the employer offers coverage, if they are eligible for coverage, and if the coverage meets minimum value and is deemed to be affordable. Remember that if you meet the “affordability” and “minimum value coverage” as a large employer, you are still in safe harbor. But you are going to have to notify your employees that you meet these criteria so that the employee will be armed with this information when they start to price exchange coverage, tax subsidy eligibility, etc. Our next federal health care article will talk about what qualifies as a large group eligible employer, and how you can stay in safe harbor. Have any questions? Let us know! As a professional employer, it is our joy to make your business life easier and less complicated.